Monty is the guard of Huqoq dig territory. 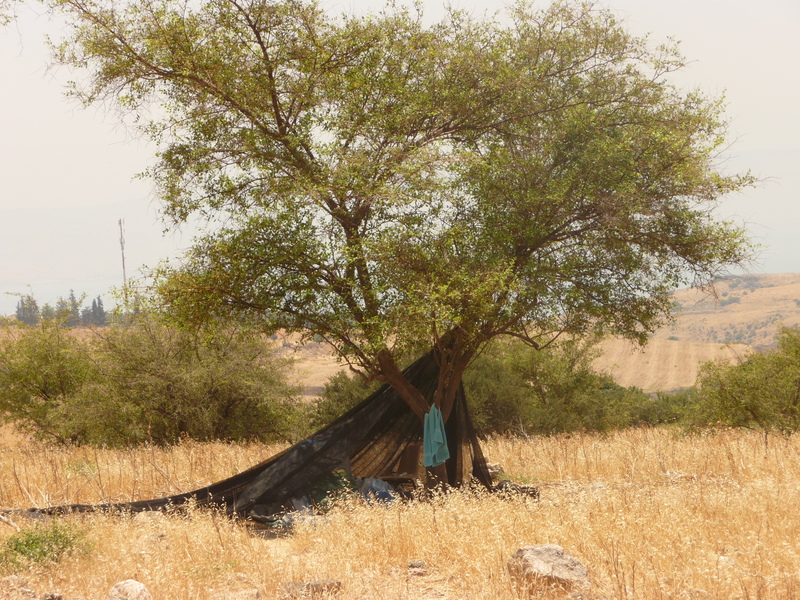 Underneath the shade beside the excavation site, he watches over the hills of Galilee for unexpected visitors. They never come. Monty towers over six feet with limbs the circumference of small PVC pipes. His teeth are yellow and cracked, and every facial feature bends upwards in the shape of a parabola. He mutters hello to the team every morning, waving lazily in his dirty clothes. His smile is endearingly unpracticed due to the minimal time he spends in the company of others. He takes this month-long opportunity to bow shyly into human interaction, and we welcome him. Born in the States in Long Island, New York, he joined the hippies of the 1960s, plunging into government protests and hallucinogenic drugs. Finally fed up with his country, Monty moved out to a hippie Kabbutz in Galilee and decided to spend the rest of his life in the quiet Israeli countryside. Monty still claims that all governments are corrupt. For this reason, he refuses to keep up with current politics and restricts his knowledge of the present to the small changes of scenery he can witness daily from his tent. He is free from all worldly troubles and responsibilities apart from the reclusive, impartial task of taking watch from under a tree. Whenever he concludes a statement toward an excavator, he asks “can you dig it?”: no pun intended. Monty’s tent, where he sleeps and keeps watch over the site. Where does he get food?